The total explorable area captured by the LRO spans 25% of the Continental United States. NASA's scientists are even calling the feat "one of the world's largest images… at least publicly available on the web." It's believable, considering its uncompressed size is 3.3 terabytes, and if you were to print the entire image at 330 dpi resolution, it'd fill an entire football field. 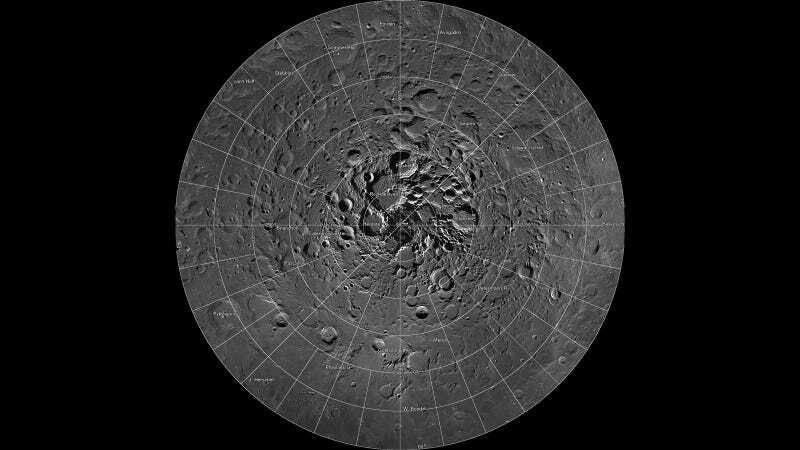 So take a couple moments to fly around the moon's craters, the LRO's been at it for four years.